Time for a smile makeover from your Sugar Land dentist? Comments Off on Time for a smile makeover from your Sugar Land dentist? Relax Sugar Land! Sedation Dentist Dr. Davey is Here! Can you remember the last time you saw the dentist? If the answer to that question is a definite, “No,” then chances are you have dental phobia or anxiety. The Dental Organization for Conscious Sedation (DOCS Education) estimates that some 30 percent of American adults do not see the dentist as often as they should because they are fearful. If you count yourself among this population, then you have nothing to be ashamed of; after all, everyone is afraid of something. Sugar Land, TX, sedation dentist Dr. Davey and his team at Texas Got Smile understand and want to help. Our practice offers two types of sedation dentistry to help patients overcome their fears and have the dental care they need. Comments Off on Relax Sugar Land! Sedation Dentist Dr. Davey is Here! No one is perfect, but have you ever noticed that your own little imperfections are the first thing you see when you meet someone new? So, if a perfectly straight and beautiful smile always is what you notice first, then maybe you should consider orthodontics. 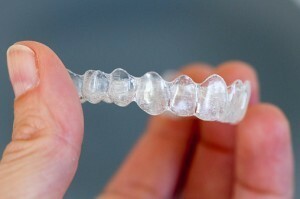 For adults, the clear choice is Invisalign®. With clear braces, Sugar Land, TX, residents can go through orthodontic treatment and you and your dental team may ever know. Dr. Davey, Your Sugar Land Dentist Would Like You to Consider Teeth Whitening After Your Holiday Meals! Yum! Just thinking about all of the delicious holiday foods can make your mouth water. There are chocolate cookies, cranberry sauce, blueberry pie, and did we mention holiday chocolates? And how about the drinks—spiced apple cider, hot chocolate, or a steaming cup of tea or coffee to share with family on Christmas morning. All delicious—and definitely capable of staining your teeth this holiday season. Dr. Davey and his team of dental hygienists and dental assistants at Texas Got Smile aren’t suggesting that you not enjoy your favorite holiday foods and drinks. However, we would like to recommend that you consider coming to your Sugar Land, TX, dentist for teeth whitening after the holidays. 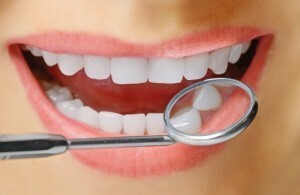 Comments Off on Dr. Davey, Your Sugar Land Dentist Would Like You to Consider Teeth Whitening After Your Holiday Meals! Adults desiring a pleasing smile benefit from porcelain veneers. 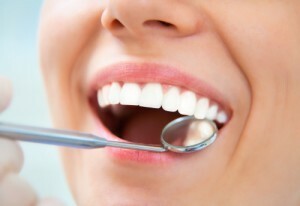 In 2 visits, healthy teeth get a new look from Sugar Land, TX dentist, Paul Davey DDS. Are your teeth a bit misaligned? Do stains or worn enamel mar your otherwise healthy smile? Consult Paul Davey DDS, Sugar Land, TX dentist on the best cosmetic solution for you. Along with teeth whitening, composite resin bonding, tooth-colored fillings and porcelain crowns, Dr. Davey offers porcelain veneers. These thin shells of dental grade ceramic create a natural, but totally refurbished, look in just 2 short appointments. Seeing Dr. Paul Davey, the dentist Sugar Land, TX, trusts, twice each year for dental checkups is an important component of maintaining your best oral health and your overall well-being. Let’s take a look at 10 reasons why Dr. Davey wants to see you and all the members of your family every six months for a dental cleaning and exam. Have you flossed your teeth today? You should have taken care of it this morning, but you’d be surprised how many patients completely forego flossing. If you have yet to floss, that’s okay. Just as long as you’re doing it at least once a day after a meal. Many patients don’t realize just how vital flossing is for oral health. Sure, brushing your teeth is very important, but it’s just one-half of the equation to achieving great oral health. Flossing isn’t hard to accomplish, it just requires a certain level of dedication. When you consider the alternative to not flossing, it’s easy to see why it’s vital for optimal oral health. You’ve probably been told to brush your teeth when you wake up and before you fall asleep since you were very young. You may not even think about it anymore. However, that unconscious brushing might not be doing you as much good as you think. 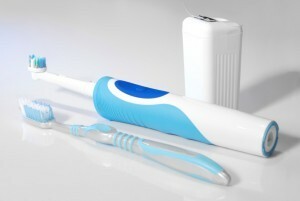 According to a recent study, most patients are still utilizing brushing techniques they used as children, and don’t brush long enough for optimal effectiveness. At the practice of your Sugar Land, TX dentist, Dr. Paul Davey, we want you to make the most of your brushing. Twice annual checkups can help you maintain excellent oral health for life, but proper brushing can extend that clean, healthy smile between visits. Call to schedule an appointment or find out more about proper at-home hygiene. Discover the benefits of our restorative and neuromuscular dentistry solutions.